Yep, that’s right, we’ve found a simple and effective solution that increases kids’ physical activity by 20% and we have the hard data to prove it. Now that we’ve taken you through a behind the scenes look at how we implement Fly Movement (if you just found us, you might want to check out part 1 in this series), it’s the final visit with the kiddos – hollerrr! If you and the kids had a blast during the other visits, then you’d understand JUST how exciting this visit can be. This is a wonderful experience in a 3rd or 4th graders life. Hopefully, you’ve read already how important your attitude needs to be when you show up. If you haven’t, I recommend you watch the fight scene in Rocky so you can get your adrenaline pumping. P.S. If you made it this far, you’re doing great! You really are. Okay, something to remember for your last visit, there aren’t any rules for doing this (okay, well, just a few). 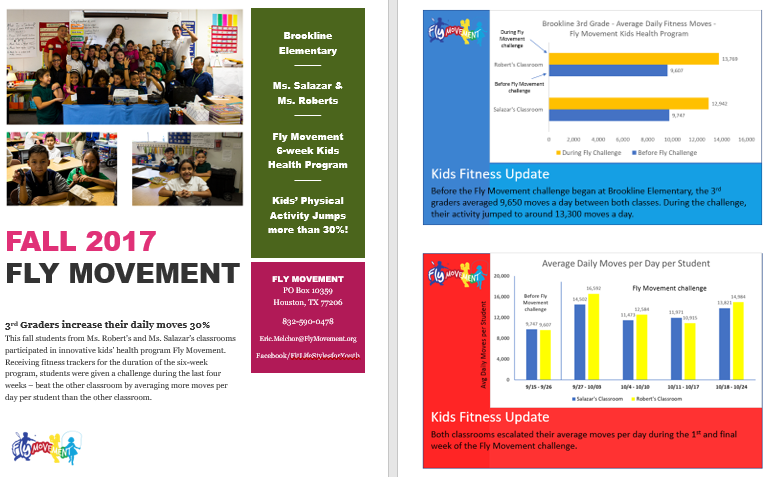 The goal for this visit is for the kids to learn about the great job they did in increasing their moves during the challenge (compared to the benchmark) and learn which classroom prevailed in generating more average moves per day per kid. We’re also reminding kids how fun and important it is to set goals. That’s all for the kids’ portion (we’ll get to what’s in store for the teachers in a second). During your last visit with the kids, you introduced to them the Fly Movement challenge. This of course is a friendly competition between their classroom versus another 3rd grade classroom (or 4th grade if you are working with 4th graders). Their goal was not see which classroom could generate more fitness moves total (because one classroom can have more students than the other), but to see which classroom could score more average moves per student. 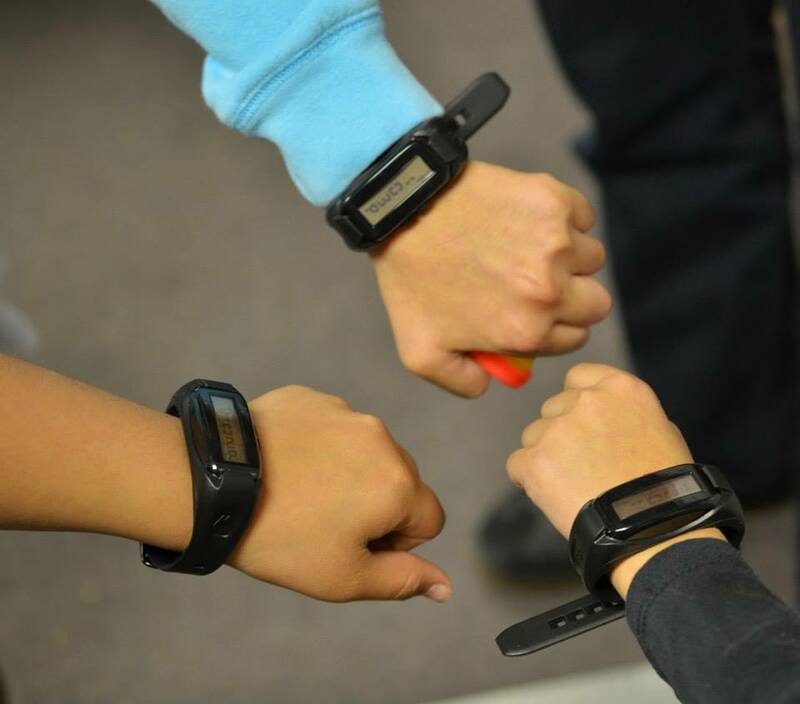 Over the past few weeks, either you, an intern, or a volunteer have been analyzing the kids’ physical activity using the DHS health technology platform (or another similar application). So, as you prepare for your final visit with the kids, you should know which classroom won the Fly Movement challenge. Get your camera out so you can memorialize the occasion as your last visit should be a fun visit. 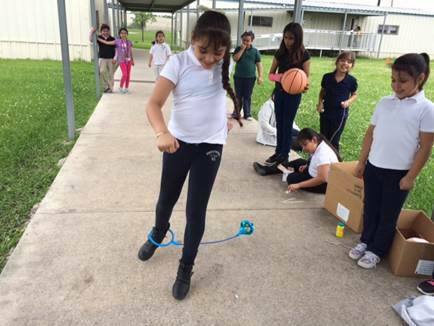 Prior to seeing the kiddos, we suggest you coordinate a date and a time when both classrooms participating in Fly Movement can join together to play a game outside. Before or after lunch is a good time to get both classrooms together, but again, it sooo doesn’t matter. Do it whenever both teachers are available to have their kids come together for about 20-30 minutes. If they are unable to, then don’t force it. Instead, scrub the mission of leading a game involving both classrooms and just visit one classroom at a time. The last thing you want is for this visit to turn into a stress-inducing endeavor. instruct the kids to play a game against each other. As a general rule of thumb, games involving both classrooms should do exactly that – involve all the kids from each classroom. So, games like a duckwalk race, bubble wrap popping, or fitness charades should not be chosen for the last visit. Instead, consider a game like Tic-Tac-Toe Relay where the first classroom to win 3 out of 5 games wins. This type of game allows all the kids to participate so no one feels left out. We suggest you allow the children to play a warm-up game first, so the kids can learn how the game is played. After a few responses, I continue with…. Then, we congratulate both classrooms for participating and award BOTH classrooms with fun prizes that the kids can use to play outside and move more. Prizes like basketballs, frisbees, jump ropes, soccer balls, footballs, and hula hoops. We sometimes give each individual student from the winning classroom a prize like glow in the dark stars or a slinky, but that is usually done in their classroom without the other students present. Finally, we take some pictures with the kids and enjoy our last visit with them until we run into them when we are back again next semester launching Fly Movement with another classroom! And JUSSSST when you thought the program was over…. Although the students portion of the program is complete, we still have some work to do. I like to send the Teachers and Principal a final summary of how the students performed in the program. The summary generally includes each classroom’s before and after average daily moves per student. Also, we include the students’ activity by week. Next, we wait 30 days from the day the program ended to send out our post survey to the parents. And once you have the responses from the survey, you can compare the results with the first survey taken before Fly Movement was launched and see if your program had a lasting impact with the kids and their families. We want to let you know that you can find out more details about our program in our Help Center. And of course, you can always reach out to us and ask us any questions we didn’t address. You and kids across the world are the reason we created this behind the scenes look because we would love to see this program, or a similar one, launched in more schools. Wouldn’t you? See Part 1 (Pre and 1st visit with kids) – So You Want to Launch a Kids Fitness Program? Read This First.